With all of the hardships the community of Legazpi has faced since the volcanic eruption, we are pleased to tell you that our intended station is up and running. 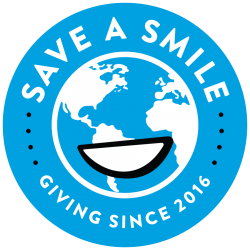 Save A Smile wants to thank you for your help and support through this major obstacle. It is important to know that although we cannot control natural disasters, we can control our mindset. For Save A Smile, it is important to remain positive and post pone building if necessary. Our stations will be built as soon as possible, you can count on that! As far as this specific station in Legazpi is concerned, it is one of our favorites. This high school had a broken down water faucet that was hardly working or serving a function for the large amount of students. Today, the students can use a beautiful sanitary station with fresh water! Their smiles fill our hearts. Thank you again for your contribution. Previous PostPrayers for Legaspi. Next PostAnnual Visit to our Stations!